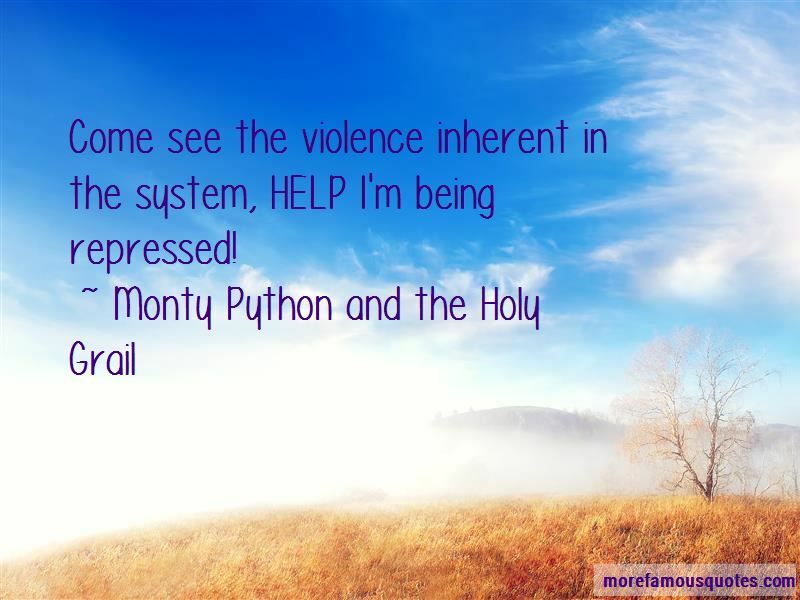 Enjoy the top 4 famous quotes, sayings and quotations by Monty Python And The Holy Grail. “Sir Bedevere: "Tell me, what do you do with witches?" Crowd: "Burn, burn them up!" 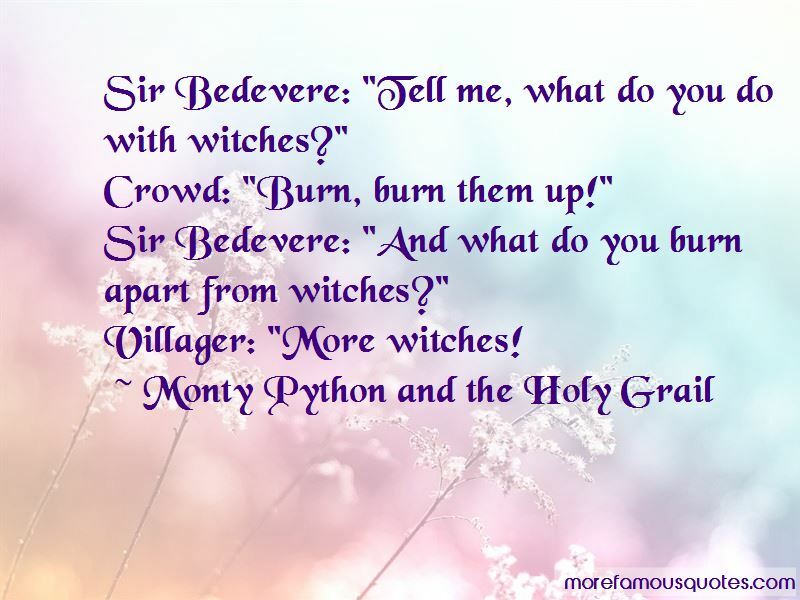 Sir Bedevere: "And what do you burn apart from witches?" Come see the violence inherit in the system!! Help Help I'm being oppressed!! 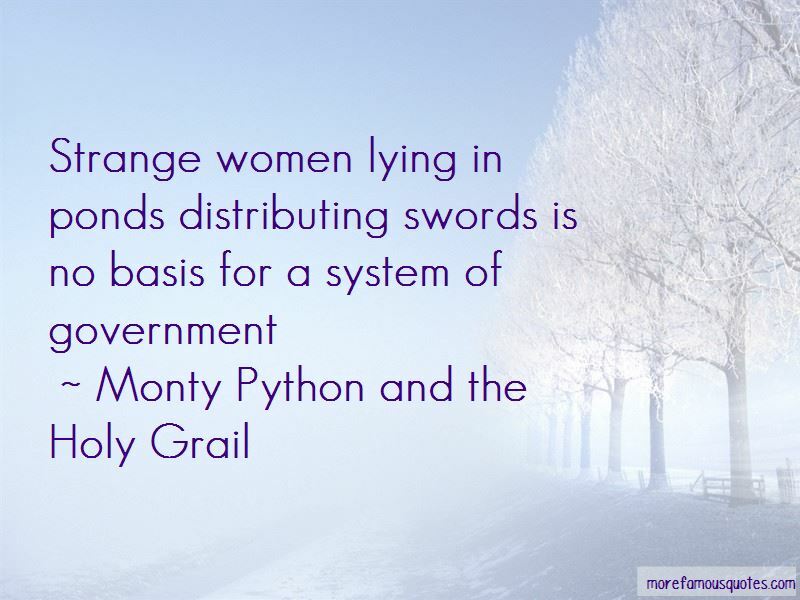 Want to see more pictures of Monty Python And The Holy Grail quotes? 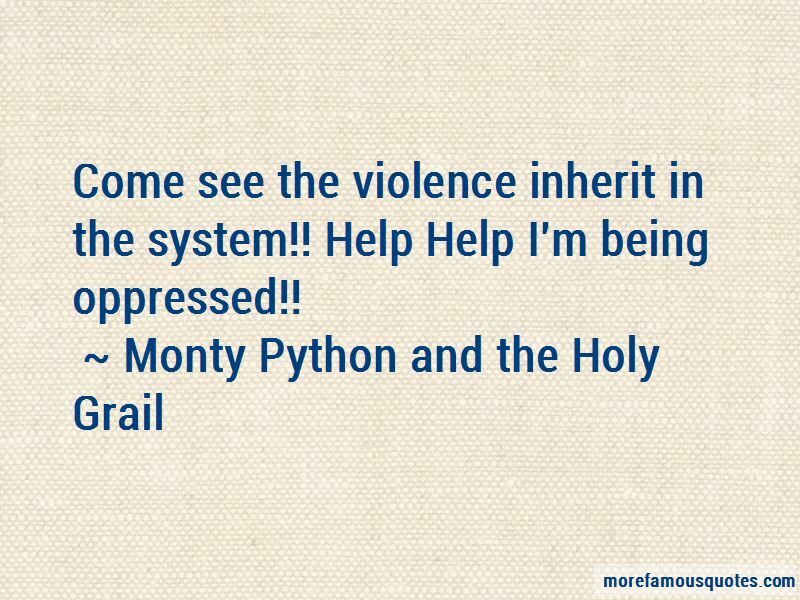 Click on image of Monty Python And The Holy Grail quotes to view full size.